All Photos by John Starnes Jr. Letting your eyes and nose be drawn into the sensuous velvety folds of a richly fragrant rose is a tonic for the soul, like getting lost in the allure of love itself. 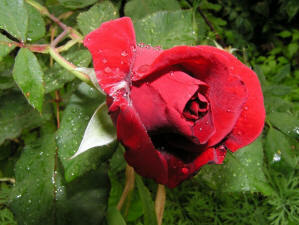 Perhaps that is why lovers and roses are linked in literature and life itself. But these days, a dozen cut roses often smell no better than the cardboard box they came in!Add to that the myth that “roses are hard to grow in Florida” and most of us long ago gave up on the dream of sweetly scented home grown bouquets. 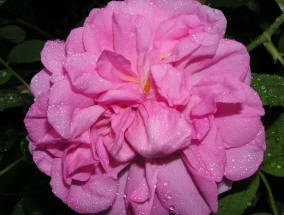 But since 1989 I have created for my clients many no-spray, low-care rose gardens of truly perfumed roses that thrive in our climate now as they did in Victorian era Florida gardens. Plus certain modern varieties offer huge, brightly colored scented blooms when grown on the rootstock ‘Fortuniana’ that resist the nematodes in our sandy soil. 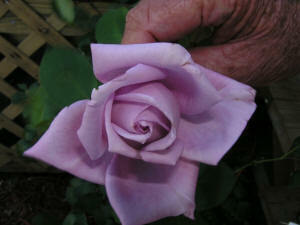 Of my approximately 170 roses, all but a handful are “own root” vs. grafted, and all grown with no spraying. My focus instead is on keeping the soil healthy and fertile and biologically active. 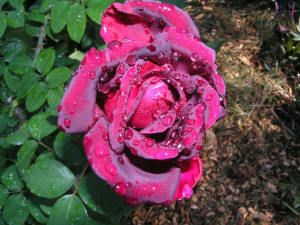 And the coolupcoming autumn months are a great time to order and plant them. Grown on their own roots (vs. grafted onto short-lived rootstocks like ‘Dr. Huey’ that so often struggle and fail in Florida), several classes of Victorian roses may well outlive you as year after year they bless you with bountiful blooms. Known as Chinas, Noisettes, Polyanthas and Teas (very distinct from modern Hybrid Teas) and Wichuraianas, they are genetically subtropical and thus love it here if their simple needs of full sun, a deep weekly watering and rich mulched soil are met. Available from trustworthy mail order houses and even some local garden shops (!! 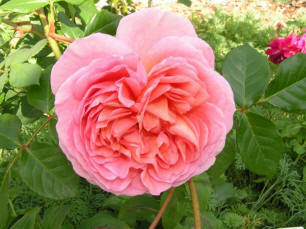 ), they offer rich reds, sultry magentas, pristine white, warm apricot and salmon, plus feminine pastel yellows. So don’t let your previous “bad luck” with roses stop you from trying a few this winter and spring, when the cool temps help them get rooted and established. But they aren’t perfect: the blooms are smaller and on shorter stems than modern Hybrid Teas and Grandifloras, but they look charming in petite vases when picked half open and will scent your home like few modern roses can. When well fed, they need no chemical sprays and thus you can sniff and inhale deeply with no fear of breathing in toxic fungicides and insecticides. Want larger blooms in bright modern colors that also are heavenly scented? 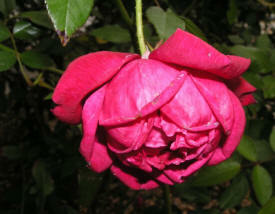 Try some 20th century hybrids that are sometimes sold on the ‘Fortuniana’ rootstock. In my clients’ gardens they thrive just as well on thatall-organic regimen, defying the “truism” that they require all kinds of fuss and muss and elaborate pruning and toxic spraying schedules. See the lists below for some that offer irresistible “nose candy”. 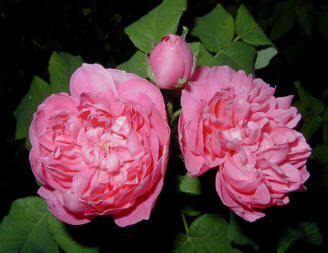 Another approach is to buy modern roses on that ‘Dr. Huey’ rootstock but grow them in pots filled with compost vs. in the garden; this seems to protect their fragile roots somewhat from the harmful nematode worms. In 2005 I got several for just $2 each at Lowe’s so I was able to grow ultra-fragrant reds like ‘Oklahoma’ and ‘Mirandy’ for use in my breeding work. 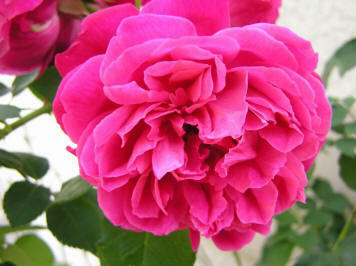 More and more are finding this “roses in pots” an effective third alternative. BUT…they will still be short lived as a rule, almost an annual. 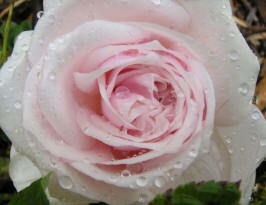 Hey, like is short and sometimes a battle…why not invite in the sweet surrender of fragrant roses? Just scan your landscape for a full sun location and plan on indulging very soon in the innocent decadence of fragrant roses on your dinner table. 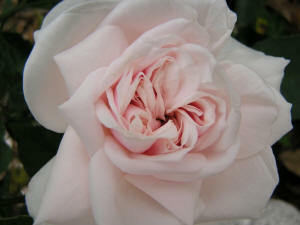 Blush Noisette (1817) pastel pink, potent cinnamon scent! Mary Webb (1985) pastel apricot; anise scented!